You can’t imagine how different it was in The Good Old Days – i.e., the Eisenhower Years. Today, anything goes. Can you imagine Cole Porter watching Jerry Springer? Back then, nothing went. Not between the birds and the bees, not between The North and The South, certainly not in the recording studio. The world was orderly, coherent and predictable. People knew their place. Crooners crooned. Violists violed. Polkadeers dotted polkas. Saxophonists smoked weed and wore sunglasses. Morally upstanding ‘coloreds’ sang in church, while their lapsed younger brother sang the blues. Hillbillies sang Country & Western. Believe me, it was a pretty tidy place back then, the world was. And then came Elvis Pelvis and got things all shook up. A white boy singing black music. Who ever heard of such a thing? Well, just create a new pigeonhole for him to roost in, call it Rock & Roll, and try to keep Suzie from listening to it. Well, good luck. Elvis had grown up sneaking across the tracks to eavesdrop on some of those younger church-raised blues musicians who were adding drums and bass to the gumbo, what Billboard monickered Rhythm & Blues. Separate charts, separate drinking fountains. Musical segregation. Fats Domino may have made the original, but all Suzie’s going to hear is Pat Boone. Never the twain. Then came Sam Cooke, Jackie Wilson, and leading the pack, Brother Ray – infusing R&B with a whole lot of gospel fervor, and not a little big band sheen. Let’s call it Soul, just so we’ll have a label for it. 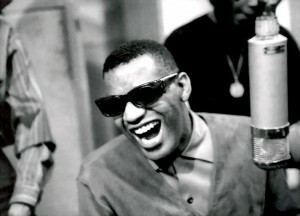 Ray Charles (1930-2004) grew up in rural Georgia and Florida. As a child, he witnessed his little brother drowning in a laundry tub. 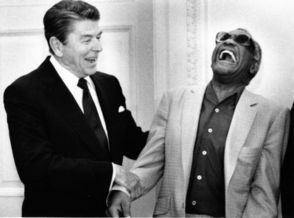 He was blind (glaucoma) by seven. His father died when he was ten, his mother when he was 15. He studied classical music at the Florida School for the Deaf and the Blind, but played ‘Jingle Bell Boogie’ at their Christmas parties. 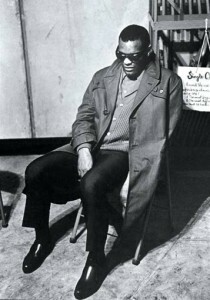 He hit the road, Ray, at 15 and bounced around from Seattle to Miami, made enough regional recordings to get himself signed to the brand-new Atlantic Records by Ahmet Ertegün and Jerry Wexler, and in 1955 scored his first nationwide R&B hit with ‘I Got a Woman’, with his signature gospel moans and bouncy horn-driven arrangement. He continued in the Soul vein (‘This Little Girl of Mine,’ ‘Drown in My Own Tears,’ ‘Hallelujah I Love Her So,’) through the 1950s. 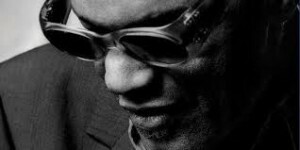 He finally broke into the white charts with ‘What’d I Say,’ followed by a move to ABC-Paramount Records, where he was granted artistic control (a first for a black artist on a major label) and a series of slightly tamer pop hits (‘Unchain My Heart’, ‘Busted’ and ‘Hit the Road Jack,’). Spanning both labels, he made a variety of excellent big band albums (“Ray Charles at Newport”, “The Genius of Ray Charles”, “Genius + Soul = Jazz”), many of them in collaboration with arranger Quincy Jones. So Ray pretty much invented soul and then cornered the market. Not bad for a blind boy from Greenville, Florida. But the guy just didn’t know his place. Instead of leaving well enough alone, in 1962 he had to go and invade Nashville, dressing a string of Country and Western classics in his jazz/pop/soul style, but with fiercely personal interpretations. Something new under the sun. Arranger Sid Feller brought him 250 Nashville songs to choose from. The resulting albums, “Modern Sounds in Country and Western Music” and its sequel “Vol. II” were landmark music back then, and they still glow today. 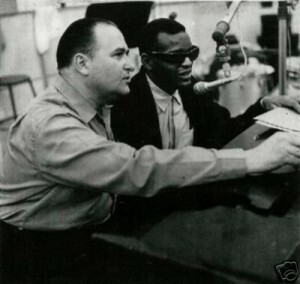 It has been said that “the album’s integration of soul and country music bent racial barriers in popular music, amid the height of the African-American civil rights struggle.” That’s 20/20 hindsight. I was subjected to ‘I Can’t Stop Loving You’ some 11 bejillion times on AM radio. Even today I leave the room when it comes on. Nothing personal against it. It’s a fine song. Just, you know, 11 bejillion times is tsu fill for anything. At the time, the song wasn’t perceived as a statement, it was music. A hit, five weeks at #1 on the white charts. But most of all, check out ‘You Don’t Know Me’. It was written in 1956 by Nashville songwriter Cindy Walker from an idea by Eddie Arnold. Jerry Vale had #14 hit with it on the country charts, followed two months later by Arnold’s own version hitting #10. Here’s Eddie singing it live at the Grand Ole Opry. Here’s Cindy herself singing it in 1964. Ray transformed this simple, honest ballad of unrequited love to a masterpiece of heartbreak. I’ve listened to it 2.5 bejillion times over 52 years, and it still wrenches my stomach every time. We’ve all been there, even if it was back in high school: loving her to the core of your soul and her not even recognizing it – it’s a pain that never dies. 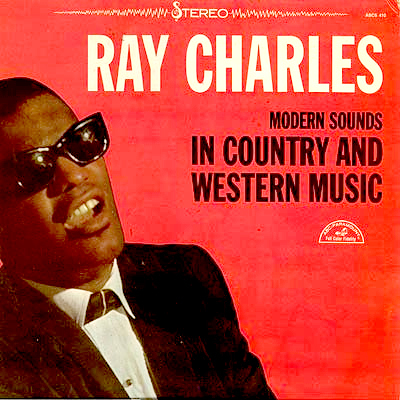 Ray brings it all to the visceral surface, even after half a century. Here’s Ray’s original recording of ‘You Don’t Know Me’. Here’s a video of Ray singing it live from back then. Ray’s recording has spawned more versions than the number of ants on a Tennessee anthill. Elvis Presley. Jackie Wilson. Willie Nelson. Van Morrison (with his daughter Shana). Alison Krauss & The Jerry Douglas Band. 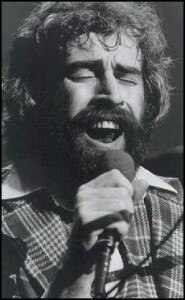 Michael McDonald. Here’s Meryl Streep, proving yet once more that there’s nothing she can’t do stunningly well. Here’s the fetching Norah Jones with Wynton Marsalis. Here’s Ray singing it with Diana Krall. And of course we can’t wrap this up without paying homage to Richard Manuel of The Band. Rewind Ray Charles back to 1960, his first single for ABC, a Grammy-winning recording of ‘Georgia on My Mind’, a country-ish reading of the Hoagy Carmichael classic. We wrote recently about The Band’s ‘Rockin’ Chair’ and its roots in the Hoagy Carmichael ‘Rocking Chair’. The Band covered ‘Georgia on My Mind’ as well, and Richard’s version belies comparison with Ray’s. 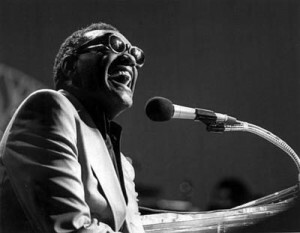 Ray is Ray Charles. Richard isn’t Pat Boone. He’s one fine, moving singer. Likewise with Richard Manuel’s ‘You Don’t Know Me’, performed here by a 1983 post-Band regrouping. 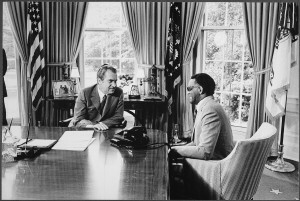 Ray inspires Richard. Both versions are moving. Richard Manuel, and all of us, have been schooled by Brother Ray in soul, in pain, in passion, in all the emotional intensity that great music can awaken in us. And anyone can tell you think you know me well. Oh I’m just a friend, that’s all I’ve ever been. For I never knew the art of making love, though my heart ached with love for you. Afraid and shy, I let my chance go by, a chance that you might love me too. I watched you walk away beside the lucky guy. Oh, you’ll never ever know the one who loved you so.